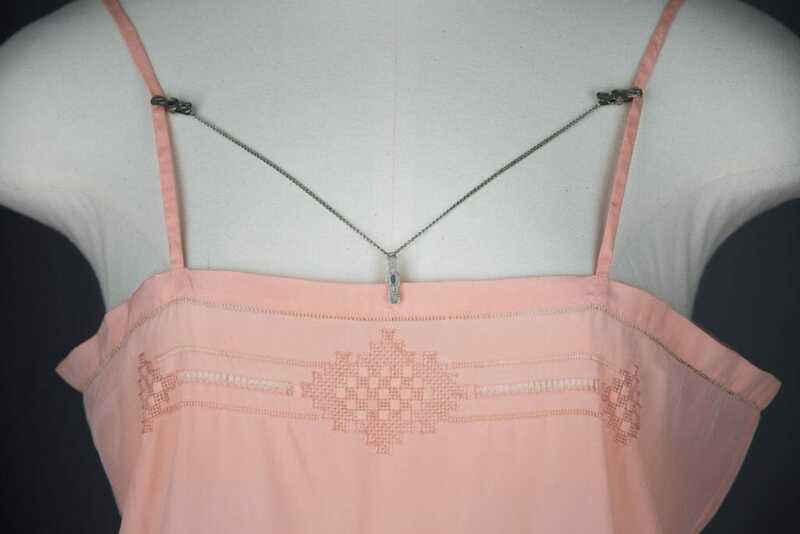 c. 1950s low back bra from The Underpinnings Museum. Photography by Tigz Rice. It’s an opinion that’s not always popular in the lingerie community, but I believe there is no such thing as truly original design. Lingerie design, by nature, is limited. There are only so many ways to interpret functional underwear. However, in my eyes that’s not a bad thing. The history of lingerie design is incredibly rich and varied, and I love seeing how techniques and cuts reappear in contemporary design. In this post we’ll be looking at a few iconic designs from lingerie history (you might be surprised by just how old some of these are! ), and where you can find similar design details from contemporary lingerie brands. 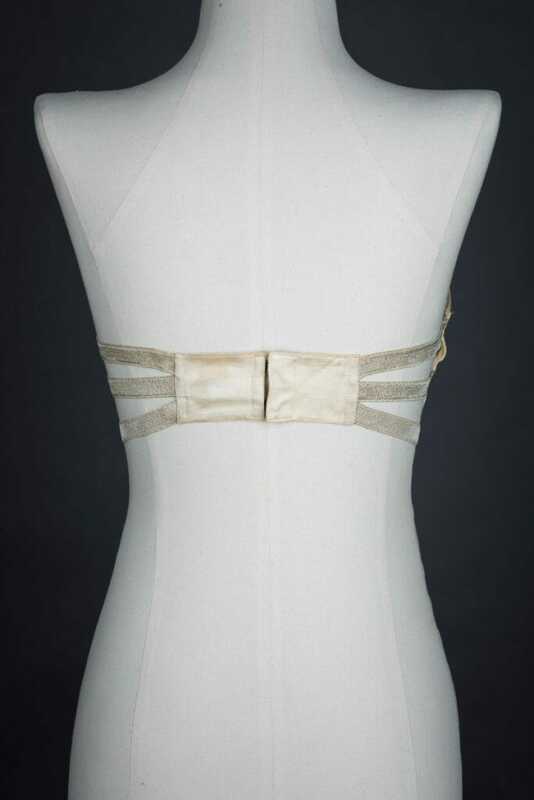 c. 1930s sling bra from The Underpinnings Museum. Photography by Tigz Rice. Sling bras first appeared on the market in the late 1920s, and remained a popular piece of everyday underwear as late as the 1960s. Although this style may look daring and naughty to modern eyes, it wasn’t intended purely for boudoir wear. Instead, the cut gave the appearance of ‘no bra’, at the same time as providing some gentle lift, with the exposed bust giving a slightly pointy look to the breasts. Marilyn Monroe famously favoured this style for the ‘naked’ look it gave her. Modern womenswear is usually cut for a much more rounded bustline, so it’s unlikely we’ll see this exact style come back in style any time soon. But that hasn’t stopped the strappy cup apex design becoming a major trend in recent years. Think of the frame bra harnesses and strappy bra details that have been all the rage. The style lines really aren’t that different! 'Sylph' half cup bra by Coco De Mer. £75 (approximately $98). c. 1955 lace monowire bra from The Underpinnings Museum. Photography by Tigz Rice. Monowires cemented their popularity in the 1950s, when wartime restrictions on metal usage were lifted and underwear designers were free to experiment. These wires give a very distinct shape and curve around the body. The use of monowires has largely fallen out of fashion, presumably because they can be challenging to fit and often uncomfortable by modern standards. Two contemporary designers in particular come to mind for their unusual use of monowires. Livy treats them as jewellery, exposing rose gold renditions of the wire. La Fille d’O is world-renowned for their graphic mesh monowire bras. c. 1920s engraved lingerie clips from The Underpinnings Museum. Photography by Tigz Rice. Jewellery and lingerie are a pairing with a surprisingly long history! Lingerie clips first hit the lingerie market in the late 1910s, as solutions were needed for the new fashion of sleeveless dresses. These clips would use three clips linked by a chain to ‘anchor’ shoulder straps and prevent them slipping off the shoulder. Higher-end renditions of these clips were often treated as jewellery rather than purely utilitarian. Think pure gold chains and intricately embellished clips. 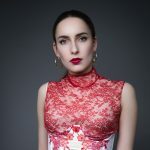 Lingerie jewellery is rarely for a purely ‘functional’ purpose today, and we now have the freedom to approach it as fashion! c. 1930s Kestos style bra from The Underpinnings Museum. The Kestos bra is one of the most iconic lingerie designs in all of lingerie history. It was first patented in 1928, and since then countless lingerie designers have referenced or copied it. It’s not surprising that this design has proven so popular, as the wraparound straps are wonderfully graphic and timeless. 'Janus' embroidered bralet by Evgenia, $137. c. 1940s fan laced girdle from The Underpinnings Museum. Photography by Tigz Rice. Fan lacing was first patented in 1908 as part of a corset design, and was designed as a method for women to dress themselves more easily (believe it or not, this would have been a pretty dramatic innovation!). Designers using this detail today are not quite as focused on functionality, with brands like Savage x Fenty using it as a purely aesthetic detail on bras. c. 1910s bandeau bra from The Underpinnings Museum. Photography by Tigz Rice. Strappy bra wings have existed for almost as long as bras have! Strips of elastic gave greater flexibility of fit back before fabrics like stretch powernet were invented, and had the added benefit of looking pretty damn cool. These kinds of elastic details can be difficult to fit on different body shapes when they’re not made to measure. Fortunately there are plenty of brands today that use this technique and make the straps adjustable. Aurora quarter cup bra by Harlow & Fox, approximately $206. Readers: what's your favourite technique from lingerie history, and what's the best modern interpretation you've seen? ← Ask the Addict: Where to Find Cute Compression Socks? woahhh, i am always so happy to see articles abt the history of lingerie ! I think its one of my favorite subject !